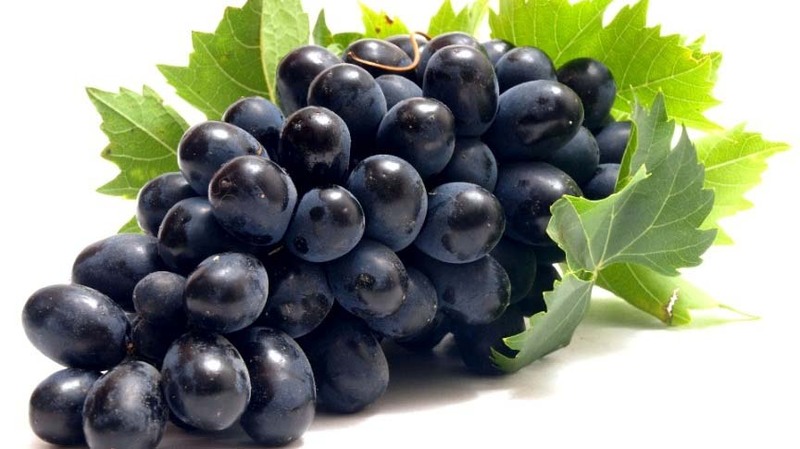 A soft and pulpy fruit, Black Grapes are small round berries with sweet and sometimes a bit tarty taste. They are normally eaten whole and can also be sliced for salad dressing and dessert garnishing. Grapes are a rich source of vitamin C and vitamin K. Also an excellent source of polyphenolic phytochemical compound resveratrol that gives protection against Cancer and Coronary heart disease.